This award-winning cookbook features more than 100 of the recipes that Laura Ingalls Wilder chronicles in her classic Little House books. A great gift for Little House fans and anyone who wants more information about what life on the prairie was really like. With this cookbook, you can learn how to make classic frontier dishes like corn dodgers, mincemeat pie, cracklings, and pulled molasses candy. 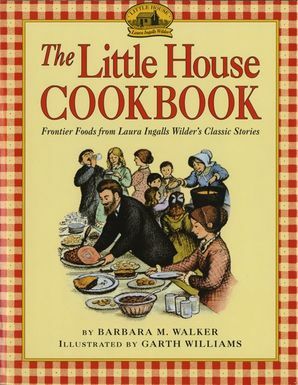 The book also includes excerpts from the Little House books, fascinating and thoroughly researched historical context, and details about the cooking methods that pioneers like Ma Ingalls used, as well as illustrations by beloved artist Garth Williams.